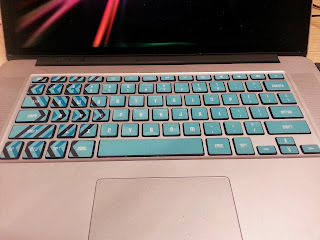 I recently wrote an article highlighting a 15% off discount from kidecals. As compensation for that post, I received credit at their site. 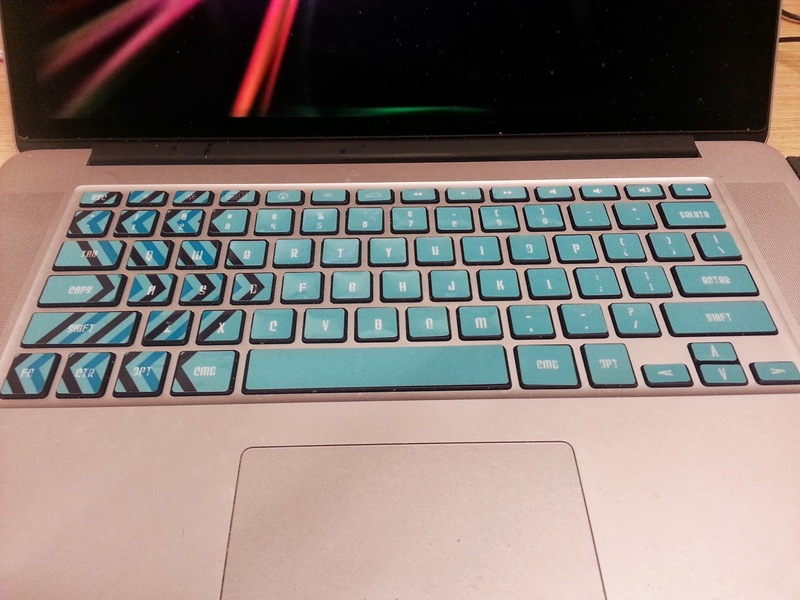 I decided to get keycals, little decals you put on your keyboard to create a fancy design. I ordered the Blue Zig Zag Keycals. Twenty minutes later, here's what my keyboard looks like. I like the style of the new keyboard. There is just one problem. It seems the font chosen for the stickers is incomplete. If you look at the picture here, you'll notice the single and double quotes look kind of weird, and there is a "-" in several places where it should be the <, >, =, and a few other characters. 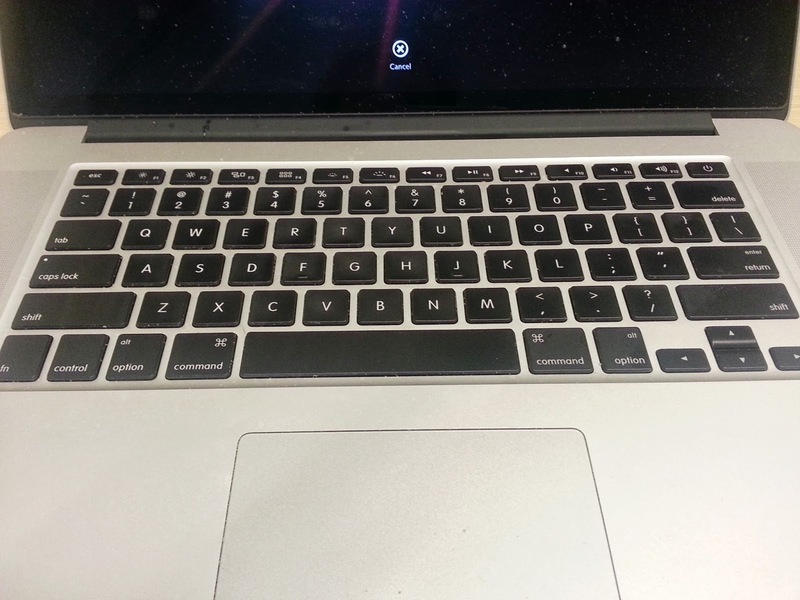 I've gotten some interesting comments from coworkers about the new keyboard. And, if I ever grow tired of them, I can pull them off to be reused later. There are about twenty other designs to choose from if you're interested. Disclosure: I received the above mentioned product as compensation for a prior post. No other compensation was received. All opinions stated are my own and may differ from yours. See my disclosure policy for more information. These are pretty awesome...my sister would LOVE them. I'll have to show her this product. 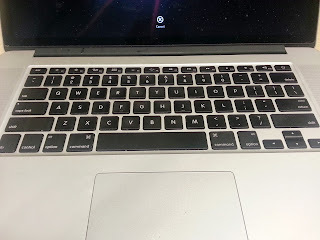 what impressed me is that Keycals are removable vinyl stickers that can be removed and re-positioned as needed, without leaving any residue behind. What an awesome idea. 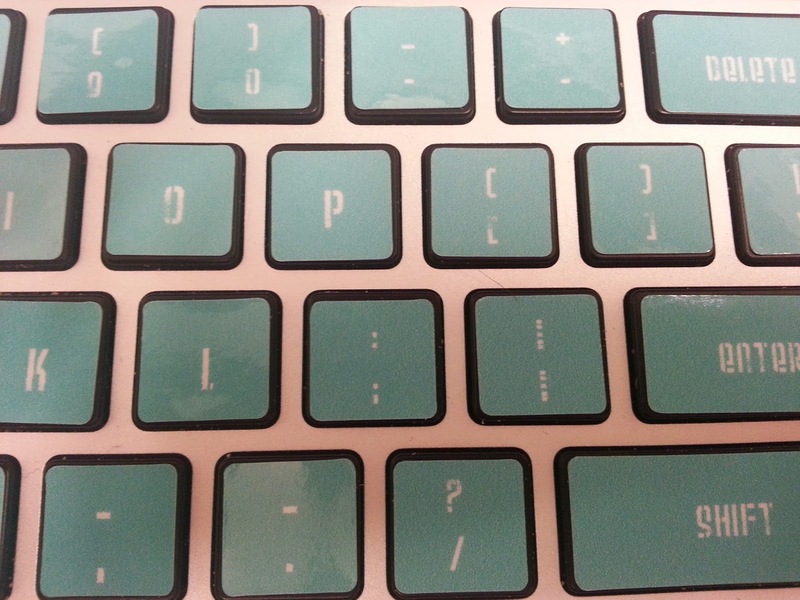 I love the way your keyboard looks after applying this decals. I am going to head on over to this site and check these out. 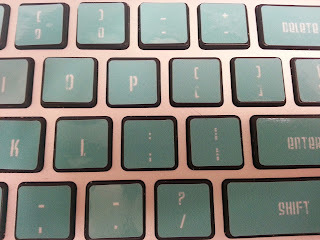 I would love to have these on my keyboard. Thank you for the amazing review.